Can anyone tell me if Eurosport still sells a body kit for the x1/9? It would be cool if there was one...my first car was a 1976 X19...the coolest car on earth!! A chick magnet back in the day! yes, Eurosport still sells the kit. You can also get the Dallara kit occasionally from vendors in the US. Never heard of/seen those cars before. Can you find them in Canada or are they strictly foreign made? They look pretty cool. 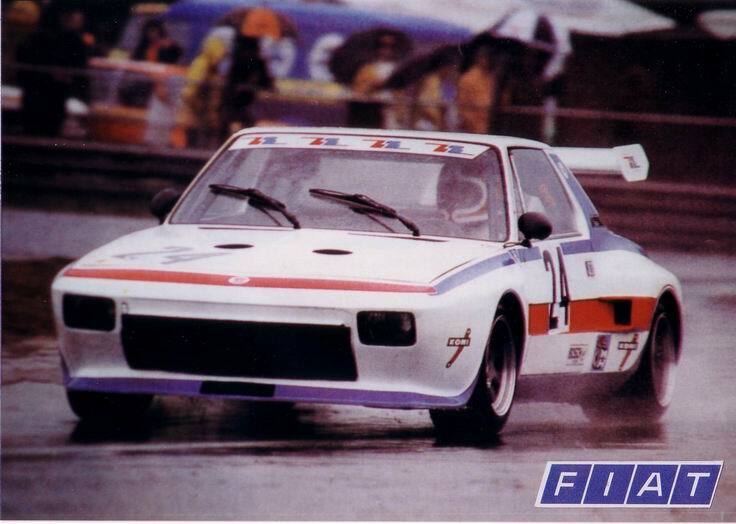 Those are all body kits for the Fiat X1/9, which you can find all over Canada and the US. The X1/9 was sold from '74-81 or so as a Fiat, then Bertone (who designed the car) continued selling them under their own name until '85 (interestingly enough, that was about when the MR2 arrived on the scene as a japanese copy of the X1/9). I havent seen anything really like those in Ontario (Peterborough, probly dont know it lol). I kinda like them though. Would they be alot to buy if found in good shape? I wonder where i could come across one of those lol. Actually i want an old Muscle car (ie. Mopar probably) but i change my mind daily. Can you get those body kits in Canada also? Well the most I've paid for any of mine was $26 so their pretty cheap here in Nevada and I have 4 right now. I'm looking for the kit cause my first x1/9 (a 1975) needs a wee bit more body work then I think I"m capable of and the body kit would go over just about all of it. The x1/9 uses alot of Yugo ignition parts and the motor is just about the same too, so parts are cheaper than dirt. My father had a red 1987 Fiat X1/9. It was a very good car. His was obviously fuel injected. Is yours? Oh, you have more than one! Cool, the Pontiac Fiero copied off their bodies. Have fun with them!!! Pretty cool, i wouldnt mind having one if found cheap enough. But i'd want the bodykit cause it looks pretty cool. Those are some nice cars you got. Is there any order your going to fix them in or just randomly? Well none of mine are injected,although I wish at least one was. The first one to be on the road(atleast legally) is the blue one thats jacked up next to the gold one. The blue one is in the process of getting a 5 speed swapped in. Heres some pics of my 4th x1/9.